Be part of something unique and exciting! 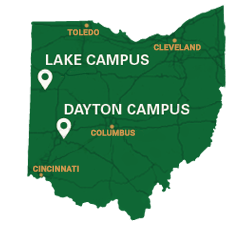 Wright State is the only academic unit in the nation to share this unique combination of engineering programs. The Department of Biomedical, Industrial, and Human Factors Engineering (BIE) is a collection of programs you will appreciate for their distinctive human-centered approach and focus on improving today's complex human-technical systems. The BIE department's vision is to be nationally recognized for excellence in education and for cutting-edge research in specific engineering areas of biomedical, industrial and systems, human factors, and operations research.